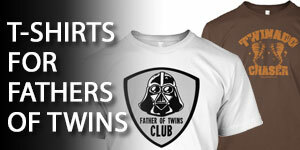 Twins can put a real strain on your marriage and family life. However, they don’t have to be the end of your marriage. Take turns in the trenches. Give each other a break. Don’t give up. This is temporary. Make your priorities. Everything else can wait. Love and serve each other first. If you haven’t already experienced some of the challenges of twins and the pressure they put upon you and your spouse and on your marriage. it’s coming in the next couple of weeks, next couple of months. It’s going to be intense. Unless you are prepared for that it can catch you off guard. 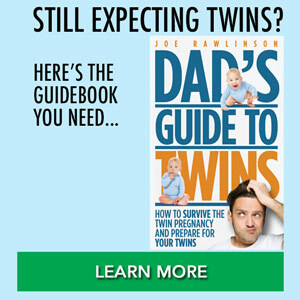 If you are still expecting your twins, it is important that right now you set expectations with your spouse about what you are going to do once the twins arrive. Because in those first couple of months with newborn twins, even up to that first year where you are getting your twins into a good routine, trying to get them to sleep through the night, you are very sleep deprived and emotionally and physically worn out. When both spouses are in that situation it’s going to be a lot easier for you to argue and for you to say things you might regret later. That friction can kind of fester and cause some problems in your marriage. It’s important that you sit down and talk about what could happen in the future, what the potential reality is going to be with your twins, and talk about the things we’ll discuss here. Try the tips below to help you navigate around these challenges and make sure that you are maintaining a strong relationship with each other (even during the physical challenges that twins will bring). One thing that we have found very useful as a couple, my wife and I, is to set aside time where we will be together as a couple without the kids. In the beginning with our newborn twins, frankly this didn’t happen much, it didn’t happen for a couple of months until they started sleeping for a little bit longer period. We could then get a babysitter to come over and sit at the house – even if it was just for an hour or two while we went out and had some dinner or just went out to run errands together without the kids. If you can set aside some couple time on a regular basis, maybe it’s once a week, or if it’s a few minutes each day, where you know that the twins are asleep and you can have that little time together, that would be great. This may come in the form of simply talking together or spending time together while you are doing something else. For example, you may be cleaning up the kitchen, or maybe doing other things around the house and you can use that opportunity to talk to one another, about your days, how things are going, what’s working, what’s not working. The ultimate prize for parents of twins is to have a date night away from the kids. That is possible. We talked previously how to get a babysitter for twins. Once your twins start to show some predictability in their patterns, it’s easier for you to get a babysitter and get in that routine where you can get out of the house and get a break, with your sweetheart. Another trick you need to call upon, in those early months with twins is that you need to call out sleep deprivation for what it is. 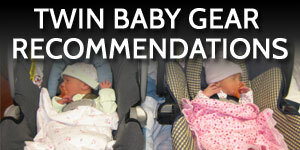 Sleep deprivation is an intense experience you are going to have as a new parent of twins. You may even be in the middle of it right now while raising your twins. When you are frustrated, angry, or seeing things are not going the way you had hoped they would go, often times that is going to be sleep deprivation. You and your spouse need to agree that you are going to call it when you see it. If your wife is particularly frustrated or mad at something, at that moment you need to be able to have something that you can call upon that you have agreed to beforehand, that is kind of the secret token. The secret password; Hey I think you are really tired, we should probably talk about this later. Defer tough conversations or decisions for when both mom and dad are awake and in a good mood. When friction arises, when something flares up, don’t let it get the best of you. Don’t get in a heated argument. Just see it for what it is. It is sleep deprivation. You can talk about those things later. Ideally, when you set aside time to do so, like on a date night, when everybody is fresh and you’re not in the heat of the moment. My wife and I read a great book a couple of years ago about love languages. The premise of that book was that each person has a different way that they like to receive love from other people. It could be verbal praise, doing something for someone else, touch, or one of several different love languages. The moral of the story from that book is that you need to identify what is your partner’s love language. Do they want something that maybe you’re not giving them? 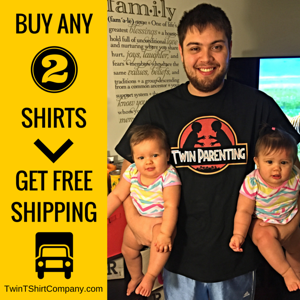 Something that can help alleviate some of the stress and pressure during those sleep-deprived months with twins? Now if you already have kids, you have most likely already seen the movie Frozen with that famous song that gets stuck in your head, Let it Go. Now that may very well be your theme song as you deal with the realities of parenting in your home. You need to Let It Go, whatever IT is. Your former life is probably in that IT bucket. The way you use to have your routine during the day or the way your life use to be. It’s not going to be that way again, now that you have twins. That’s ok. 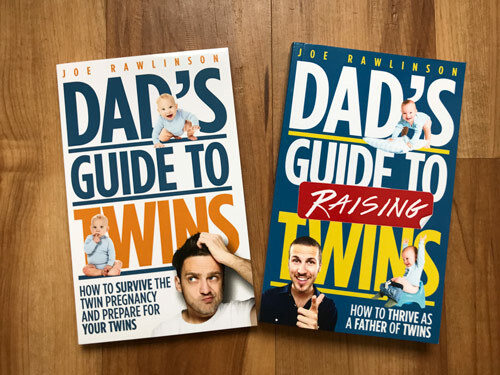 Your new life with twins is going to be amazing and exciting and it just requires some different patterns, routines, and habits that you may need to change from what you use to have. One way to reduce your frustration and friction between you and your spouse is letting go some of those things that maybe use to get done before or the other person use to do all the time but now is not getting done. Let that stuff go because right now you have more important things to worry about: taking care of your twins. It is important to take turns in the trenches of parenting. Parenting twins is not an easy task to be done. If one of the parents is home with the kids the majority of the time, it’s important that the other spouse take turns doing those same jobs and tasks and caring for the kids. This way each parent can get a break. If you work nonstop and never get rest or break from that routine, it’s going to drive you crazy and you are going to have a meltdown. That often leads to arguments and fights with your spouse which can be avoided if you get more regular intervals of breaks. One way to make sure that you are getting breaks is that you make sure you are getting your twins into a good routine. A healthy routine is a lifesaver for you as a parent because you can predict what is going to happen. You start to learn how long your kids are sleeping, how much time you are going to have to get something done around the house or get rest yourself. 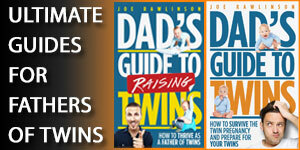 If your twins are not already in a routine you need to establish that with them to bring some normalcy into your home. That will help maintain some sanity in your family. As a couple, it is important to maintain your relationship that you don’t assign, delegate or defer tasks to the other spouse. If you see something that needs to be done, you need to do it. Don’t expend energy wishing that it was done or complaining that your spouse didn’t do that already. If you see something that needs to be done around the house, step up and do it yourself or be fine with it not happening. Lots of stuff is not going to get done around your house. Your house is not going to be clean. Food may not be prepared the way, it used to be prepared. Laundry is going to stack up and there are going to be lots of things that slip by the wayside. If you see something that needs to be done, just do it. Don’t expect your spouse to do it and don’t complain that he/she is not doing that. In those first few months with twins, we had other people come and stay with us to help. Having an extra set of helping hands, helped relieve some of the pressure of the day to day care of the twins and that in turn meant we got more sleep, we were in better moods, and we were nicer to each other as a couple. Remember that your twin journey is going to have a roller coaster of emotions and challengers from newborns, infants, toddlers and beyond. The roller coaster just changes over time, with the challenges varying. There is always going to be something going on that that is difficult. Don’t give up. Don’t give up on your marriage and don’t give up on your spouse. Often times all the responsibilities of a parent weigh on you and you start to project that or assign guilt or blame to the spouse which is not necessarily deserved. Remember this is temporary, you are going to get through this and if you are establishing some time to be together as a couple and talk through challenges you are having you are going to be fine. When you are in the trenches of parenting, you need to make your priorities of what is most important to you. Everything else can wait. Your hobbies, friends, social outings, and habits you use to have before the twins can all wait. Your priorities are taking care of your twins and each other as a couple. Everything else comes after that. If you feel like your marriage is still struggling and that twins are the straw that breaks the camel’s back, it is important that you reach out to a trusted third party. Talk to a marriage counselor or a church minister to help guide you through the challenges that you are having. You can even talk to a friend, but you must be careful here that it doesn’t become a session where you are just complaining all the time about your spouse. Instead, look to find constructive ways to help heal your marriage. Don’t hold a grudge. If your spouse does something to offend you, maybe they say something to offend you, or maybe they don’t do something and that offends you. Whatever it is, just let it go. Don’t hold a grudge against your spouse. You guys love each other. Remember this. It’s why you got married, it’s why you have twins in the first place. Don’t hang on to those little things that can pile up and chip away at your relationship with each other. Just let it go. Ultimately, if you want to maintain a strong relationship with your spouse, you need to have open and honest communication. Talk about the things that are working and not working. Work through those together as a team. Raising twins requires a team effort between you and your spouse. You need to love and serve your spouse first. Put him/her first and do the best you can to make their life as easy as possible. 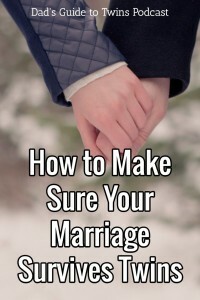 If both of you are doing this, it’s going to make your marriage a lot better. The key here is to not be selfish in your actions or desires. Having twins will force you to not be selfish because you have to physically give everything you have in taking care of them. Remember to love and serve your spouse and things will work out. As you plow through these challenges that you are in right now, you will come out on the other side and be stronger for it as a couple because of the things you have been able to do together in overcoming these challenges. 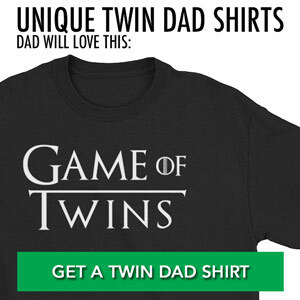 This show was brought to you by twintshirtcompany.com, where we have dozens of shirts made specifically for parents of twins. Moms, dads, and grandparents of twins, to help celebrate the special fraternity/sorority you are in as a mother and father of twins.